The Supreme Court said Aadhaar is serving a bigger public interest. Aadhaar means unique and it is better to be unique than be the best, it said. Supreme Court has declared the centre's flagship Aadhaar scheme constitutionally valid. The top court pronounced Aadhaar as "constitutionally valid"
The Congress on Wednesday welcomed the Supreme Court decision to strike down Section 57 of the Aadhaar act, which allowed private parties to access Aadhaar data, and termed it a "slap on the face of BJP". The Supreme Court has declared the centre's flagship Aadhaar scheme constitutionally valid. "We welcome the Supreme Court's decision to strike down Section 57 of the Aadhaar Act. Private entities are no longer allowed to use Aadhaar for verification purposes," the Congress said on Twitter minutes after the verdict. The delinking of Aadhaar from private entities is a "slap on the face of BJP", added Congress national spokesperson Abhishek Manu Singhvi. "Slap on the face of BJP. Justice Sikri judgement strikes down Section 57 of Aadhaar Act, 2016, which says private body corporates can seek Aadhaar data. Says it's unconstitutional. 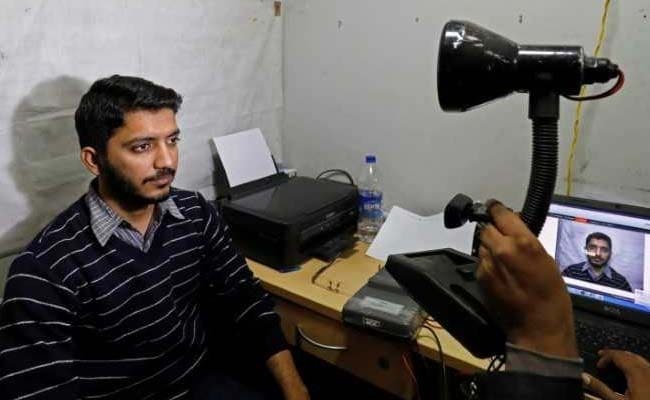 All plans to monetise biometric data now fail," he tweeted. He also hailed the Supreme Court's move to disallow metadata to be stored in current form. "If the information of a person's personal information is sought to be released, he or she shall have an opportunity to be heard. SC rightly appreciated brilliant idea in origin; protected its core; promoted its development and eliminated its flotsam & jetsam. SC brilliantly threw out #bjp #modi accumulated dirty bathwater and saved the baby. Org intent of UPA ie to give identity 2 marginalised ppl now shines (sic)," he said. The top court's five-judge Constitution bench headed by Chief Justice Dipak Misra said Aadhaar is meant to help benefits reach marginalised sections of society and takes into account the dignity of people not only from the personal but also from the community point of view. The Supreme Court also said Aadhaar is serving a bigger public interest. Aadhaar means unique and it is better to be unique than be the best, it said.